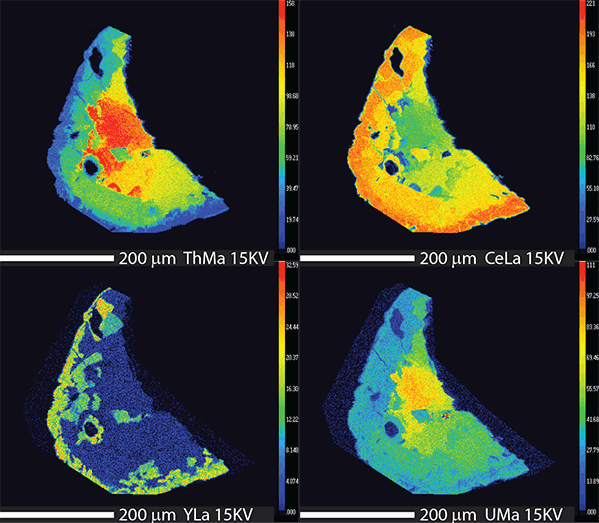 A recent article in Chemical Geology reports on a new analytical approach improving U-Th-Pb electron microprobe dating. The corresponding author, Patrik Konečný, is a long time user of CAMECA SX EPMA. Leading the Electron Microprobe Laboratory at the State Geological Institute of Dionýz Štúr in Bratislava, he has been involved in the development of innovative dating methods for monazite, uraninite, thorite and xenotime since 2014. The new approach, involving "monazite age reference correction" (MARC), utilizes a set of well-defined and approved microprobe monazite age reference materials for improvement of reliability in EPMA geochronology. Improving U-Th-Pb electron microprobe dating using monazite age references.